It might be my homeland but there's just something about it that continues to have me in awe with every visit. Here's to sharing that feeling with you through this photo diary of explorations and collections of favorite spots. From the moment you take your first steps in this city, you feel as if you're in a dream. Architecture, culture, food, liveliness - it's all here. Needless to say, much isn't needed to fill the day and stay entertained. Simply walking down the streets creates a magical experience in itself. Some of the top areas to explore include the Magnificent Mile, Lake Shore Drive, Millennium Park, Grant Park & the Loop. 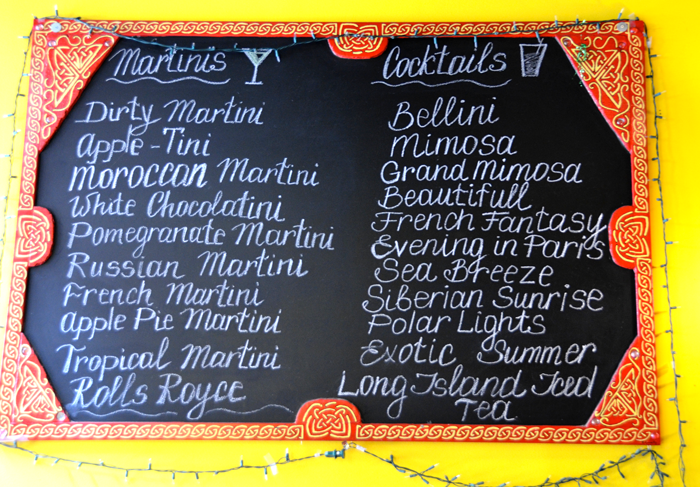 One of my favorite local secret spots is the Crepe Bistro & Martini Bar. 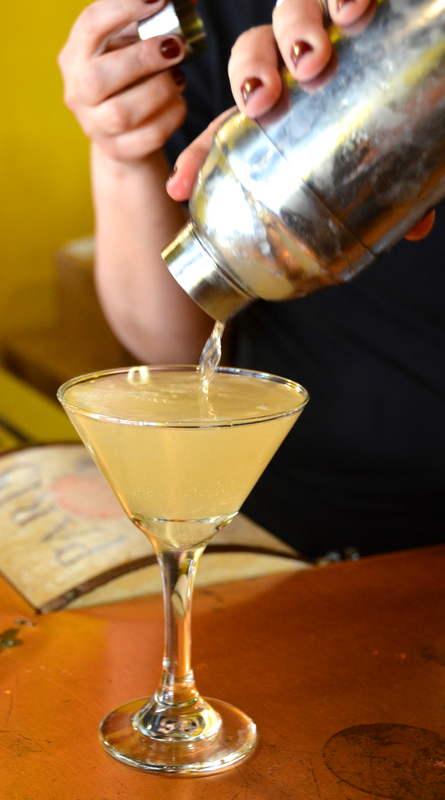 From $6 Russian martinis to savory French crepes, this is a must whenever being in the city for the day. It's basically happy hour on steroids. Sometimes a pause is needed from the rush of the city life. 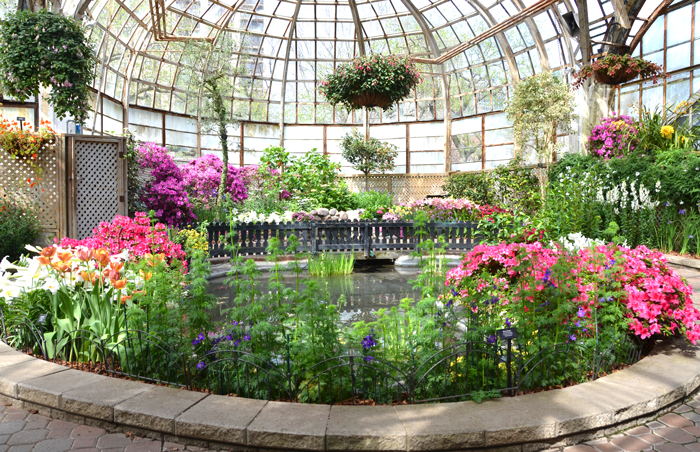 That's when a visit to the Lincoln Park Conservatory is in order. Exotic plants, colorful flowers, and all things green can be found here. A trip to Chicago is nothing without getting a proper view of the city and the Signature Lounge in the John Hancock building is just the place. No admission fee. No waiting in lines (only a potential wait if it's busy). Most importantly, you can simply relax and be mesmerized by the 95th floor view. Tip: Take a visit to the ladies bathroom for the best sight. Sorry boys! Last but not least, let's talk food baby. While delicious eateries can be found on just about every corner, here are the absolute musts. Oven Grinders. This is one of those rare places that still holds its authenticity and has been my #1 favorite since ever I can remember. You haven't had homemade salad dressing like this before, trust me. That alongside with the Mediterranean bread is just the start though. Pizza pot pies and massive italian sandwiches are the real prize. Be prepared to drool upon entering. Café Ba-Ba-Reeba. Tapas, paella, and sangrias. Enough said. Big Star. Make a stop at this hipster hot spot whenever in the Wicker Park neighborhood. These tacos and a pitcher(s) of the classic margarita under the sun make the perfect combination. Mi Tierra. While this is a bit farther out from the actual city, its well worth the trip. From the moment you enter, you immediately feel as if you're in the heart of Mexico. It has it all from the authentic food to the cultural vibe to go with it. Know someone who would love this post? Well, don't just keep it to yourself now. Share away! For more updates and photos, check out my Facebook, Instagram, and Snapchat [jessicajanusz].